A brighter future is in your hands. We currently have a full time position available for a Pool Laborer in Stapleton; Denver, Colorado. 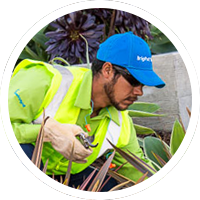 Under general supervision, your primary responsibilities include, but are not limited to: performing journeyman level work in the installation, maintenance, inspection, modification, remodel and repair of mechanical plumbing equipment and fixtures for pools and water feature systems in both residential and commercial environments. Considerable knowledge of the hazards and safety precautions of the trade. Ability to interpret and work from pencil sketches and drawings.